The Indian Premier League is heading into its 12th year, but there's still something very unique about the upcoming season. It's the first time the tournament will be played before a 50-over World Cup, bringing with it its own set of complications. In the past too, the IPL has been held just before ICC events: in 2009 and 2010 before the World T20, and 2013 before the Champions Trophy. The tournament was blamed for India's group-stage exit in the World T20s, but those noises faded away three years later when India won the Champions Trophy. How would the scenario be this time around? That's the million dollar question in the cricketing fraternity as the IPL gets underway. As important as the World T20 and Champions Trophy are, the 50-over World Cup is a different beast altogether. It's THE tournament that teams eye and prepare for. It's thus no surprise that 'workload management' is the biggest topic doing rounds in the build up to the tournament. It's the reason plenty of Australians are missing out. It's the reason many more big names, especially the Indians, could be leaving the tournament in the latter stages. And yet, the IPL is - needless to say - a massive tournament in itself. To the naysayers, it's an easy punching bag. To the believers, it's the heartbeat of Indian cricket. Whichever side you're on, there's simply no ignoring its importance. 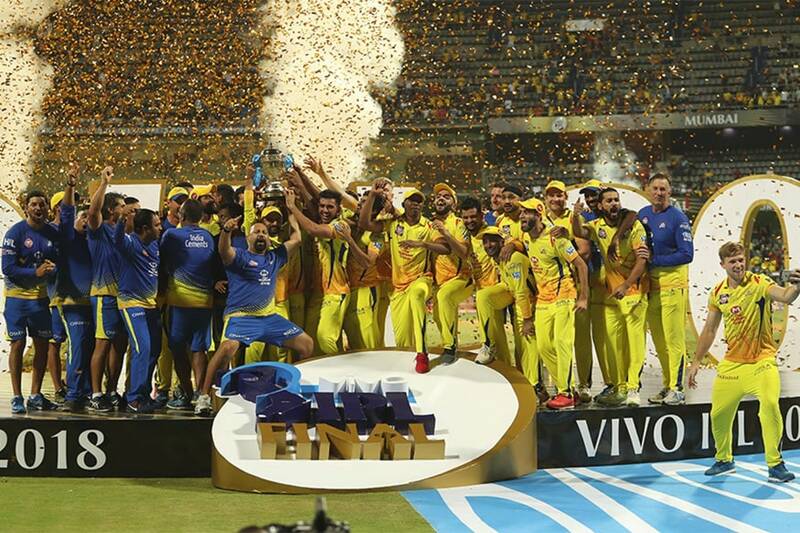 World Cup or not, the IPL is here to stay. Why, even the general elections in the country has not affected the tournament this time. So, let's shift focus to the actual cricket. A quick glance at the squads show that every team - despite some missing big names - is balanced and strong. Yes, even Delhi Capitals, as they are called now. But let's begin from the top. MS Dhoni's Chennai Super Kings will be defending a title they won last year by stunning many. When they picked their squad after the two-year ban, CSK were termed Chennai Senior Kings for their predominantly 30+ players. They had an old squad, lost a couple of key players to injuries, were forced to move out of their home ground...but they won. It was the most perfect of comebacks possible, but Chennai's challenge is only stiffer this year. Purely because the seniors are even more senior! Will they be able to win a record fourth title? Talking about fourth titles, Mumbai will be eyeing the record too. Unlike Chennai, they put together a fairly younger side last season and ended up not qualifying for the play-offs. That's a rarity for a side like Mumbai, but they've got reason to hope this year. Their youngsters are more mature now, and they've also made some tactically positive decisions. Captain Rohit Sharma announcing that he'd open in all the games is perhaps the one big decision that will make Mumbai favourites again. Will they rise? Talking about rising, the Sunrisers Hyderabad have perhaps the strongest of squads, at least on paper. And that's because they have the best of minds working on the auctions. This year too, they've made some smart buys, none smarter than exchanging Shikhar Dhawan for three players - Vijay Shankar, Shahbaz Nadeem and Abhishek Sharma. The return of David Warner adds to their strength along with Kane Williamson, and they've also got other options in Martin Guptill and Jonny Bairstow. Should we even talk about their bowling? Simply put, they have the best bowling unit in the competition. Can the runner-up from last year go one step higher? Two other sides that promised plenty last season and fell marginally short were Kolkata Knight Riders and Rajasthan Royals. Kolkata, under Dinesh Karthik, played an aggressive brand of cricket last season. Like Hyderabad, they too made some smart buys in the auction but have already been hit by injuries to three pacers - Kamlesh Nagarkoti, Shivam Mavi and Anrich Nortje. Just like last year, they've got a strong starting XI but not much beyond it. The biggest change in the Rajasthan side will be the return of Steve Smith. He adds solidity to the top order, which has the two Englishmen Jos Buttler and Ben Stokes. All these men, along with Jofra Archer, could leave early for national duties. Will Rajasthan have enough in the tank to last the distance? And finally, we come to the only three sides that have never won an IPL despite being a part of the competition from its inception. Kings XI Punjab, Royal Challengers Bangalore and Delhi Capitals. Punjab have made it to the final once. Bangalore have had the biggest of names, starting with Virat Kohli, and have been to the final thrice, returning empty each time. Delhi have never reached that distance, and are easily the biggest flops in the history of the tournament. A new winner would do the tournament a world of good - can Delhi, Punjab or Bangalore rewrite history? Before I wrap this up, here's a quick wish list. A controversy-free IPL. No unconnected political protests driving matches away from a city, please. An injury-free IPL, so that the best of players are available for the World Cup. If these happen, cricket lovers could be in for four months of the best possible entertainment.